Doing “ordinary” tasks, like grocery shopping, becomes a more thought out, strategic outing when you have a baby in tow. The age and mood of your baby might determine the length of time you are likely to spend in the store. You don’t want to overthink this too much but you also want to have some ideas of how to make it a less stressful trip! 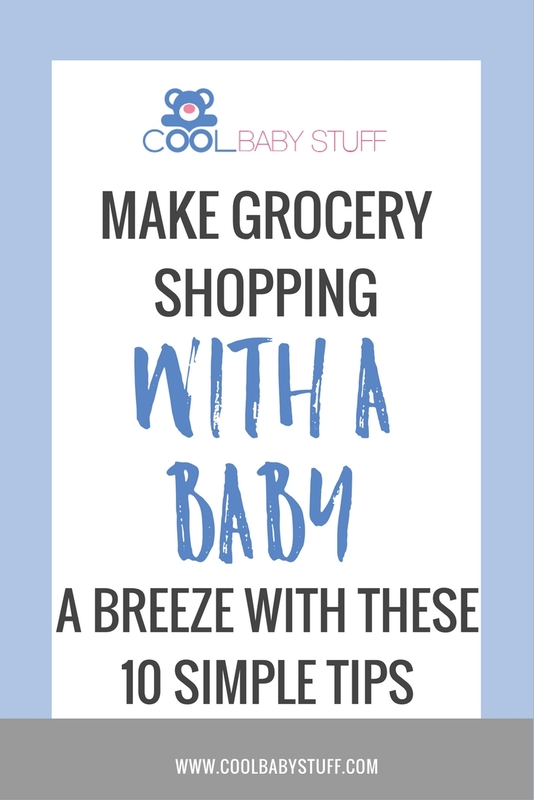 Utilizing some tips and having a plan can help you avoid some added stress and help make grocery shopping with a baby a success! 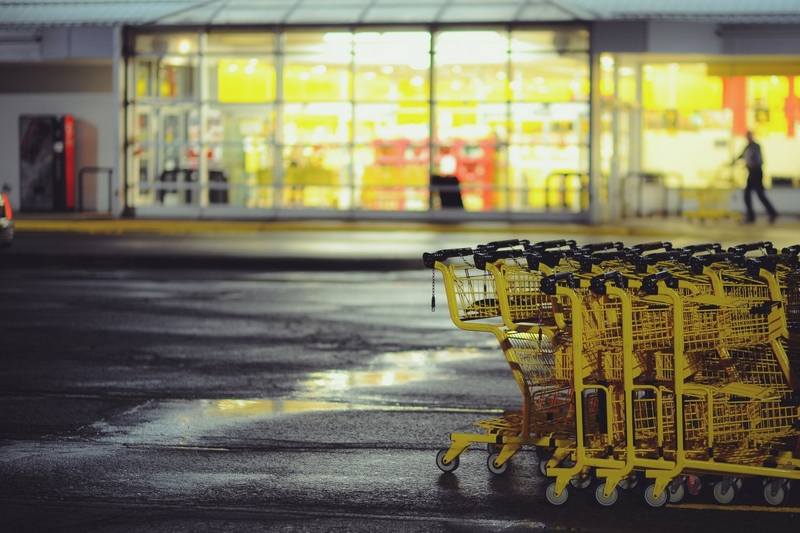 Grocery shopping with a toddler can be difficult, too! If your little one is in the tantrum stage, check out this article on how to avoid temper tantrums like a boss! 1. 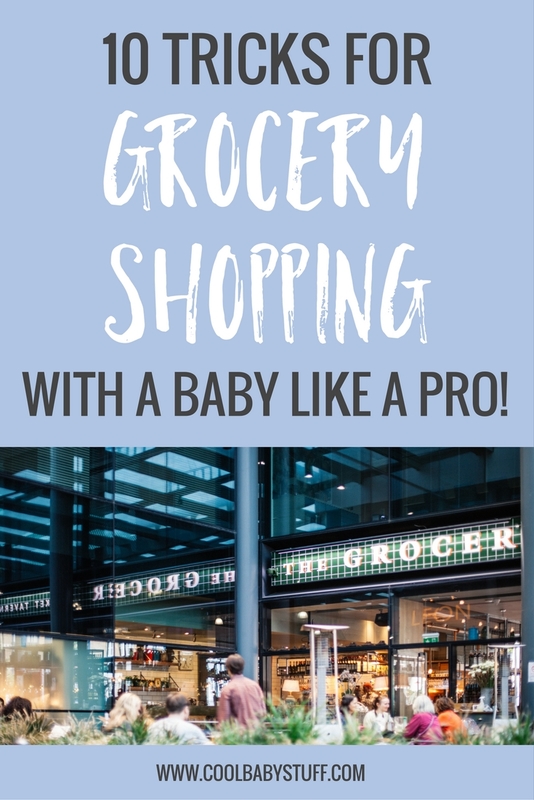 Go grocery shopping with a baby on a weekday or at an early time when it is less crowded. Not having to juggle the baby and crowds of people will be less chaotic for you and your baby. 2. Try to go after your baby has had nap so that you don’t bank on them sleeping while in the store. The noises can wake them, and all the lights and atmosphere could make them overstimulated and upset. 3. Make sure to have a list-this will ensure you won’t forget anything and can help you stay organized. 4. Plan to go after your baby has eaten, so that you’re not stuck in the parking lot feeding-or for them to be hungry and trigger a meltdown in the store. 5. One tip is to park right next to the grocery cart drop off in the parking lot. This makes for at least the departure a little quicker and easier so that you will not have to trek across the parking lot to return the cart. 6. Wear your baby in a carrier or sling. This is an option that might help your baby be less fussy. 7. If you bring in the baby’s carrier seat, make sure that it is safely secured in the top portion (some stores have specific carts for this). You can also put the carrier in the bigger part and put the groceries around the carrier (or under the cart). It all depends on the amount of groceries you are purchasing. 8. Once the baby is able to sit up on their own in the cart, make sure to sterilize the areas the baby touches as you want to minimize the germs! Let’s face it they touch everything…investing in a cart cover can be a big time (and germ) saver and comfortable for your baby to sit in. 9. Bring plenty of distractions such as toys, a favorite stuffed animal, things that can entertain your baby for them to play with while you check off your list. 10. Have fun….maybe sing a song or make silly faces with your baby. Don’t worry about what others might think of you — especially if your baby melts down because it happens to everyone! Try and stay calm and make an exit as soon as you’re able to.